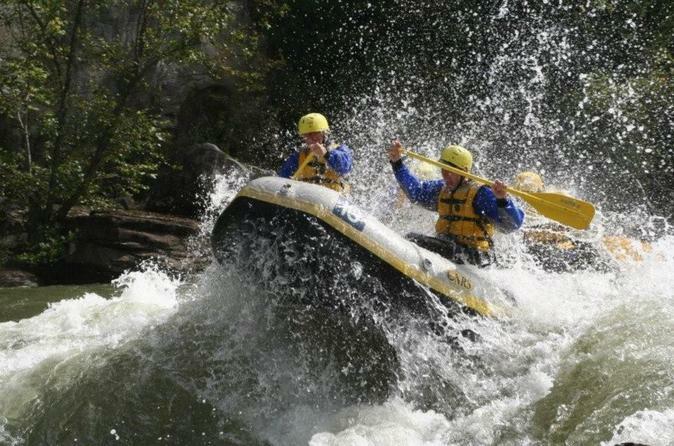 Real deal guided whitewater rafting through the spectacular New River Gorge National Park. Another notch on your bucket list - or become a whitewater frequent paddler! Class III/IV rapids provide excitement and a trip you will never forget. Amazing scenery, high adventure, no experience required, trips run March through October each year. Day trips meet at 9 AM and include a riverside lunch break at the halfway point, catered by local hot spot Rezan's at Wood Mountain. Short on time? Try the Afternoon Express run, meeting 2 PM daily.